Canada Pension Plan (CPP) disability benefits may be available to assist those who have been seriously injured or ill such that they are unable to work for a prolonged period of time. However, they must meet CPP eligibility requirements, the specifics of which can quickly become complex and difficult to understand without experienced help. 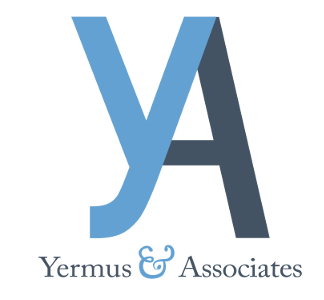 Yermus & Associates, and his legal team will assist clients in making CPP benefits claims. We can help you navigate the entire claims process, from making an initial application to appealing a denied CPP claim. Led by Toronto CPP disability claims lawyer Michael A. Yermus, our team of legal professionals will be with you through every step in the process. We provide honest counsel on the eligibility requirements regarding CPP disability benefits. In general, CPP benefits are determined by your work history, your annual income and the nature of your condition, which must meet the CPP’s definition of a disability. When you engage our services, we will review your situation and provide honest counsel on your eligibility for CPP disability benefits. If you are not eligible, we can explore other options such as long-term disability benefits that may be available to you. If your claim is denied, you have the option to request a reconsideration, in which any new evidence of your disability may be considered. If your reconsideration is denied, you may appeal to the Office of the Commissioner of Review Tribunals. At this first level of appeal, you will have the opportunity to present your case before a three-member panel in a tribunal hearing. We can assist you in preparing for this hearing by going over questions the panel will likely ask, gathering any other evidence or seeking testimony from medical experts in order to build a strong claim. We will also attend the hearing with you as your advocate. A second-level appeal to the Pension Appeals Board may be available should the first-level appeal be unsuccessful. However, strict deadlines and requirements apply when seeking a second appeal, so working with an experienced lawyer is essential. If you or someone you love has suffered a long-term disability, contact us at 416-229-4878 (HURT) to discuss your options in recovering the benefits needed to maintain your family’s financial stability.